SMC franchise was set up in 1990 and currently it has more than 2400 registered sub brokers. SMC offers most of the trading products like equity, commodity, currency, derivative, insurance and provides services like research, financing, insurance broking, clearing services etc. It also provides wealth management and advisory services to high net worth individuals and other retail clients. SMC franchise believes in long term relations and strong bonds for ensuring a progressive business and hence focuses on building and maintaining good and committed relations with the SMC sub brokers. It also ensures that the sub-brokers get an opportunity to maintain their own identity and hence provides advertising material which co-promotes the sub broker entity along with SMC brand. How to become SMC Sub broker/Franchise/Business Partner? For being a SMC sub broker, a candidate is to be registered as a stock broker with SEBI and relevant stock exchange. This is a part of compliance and hence needs to be fulfilled by every candidate interested in stock brokership. 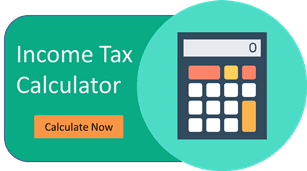 Apart from this, SMC Trade has prescribed an experience of minimum 1 year in the financial-capital market as one of the basic eligibility criteria. Any interested candidate with the prescribed experience can apply for partnering with them. Further, to ensure that the candidate has a decent reputation in the market and has a strong potential client base, it runs a background check for each of its candidate. It also expects the candidate to make an initial investment of INR 3 to 5 lacs in the infrastructure set up for the business. Though, it has prescribed minimum experience on 1 year, but it also believes in promoting and investing in new talent i.e. it evaluates ability of an individual and decides upon case to case whether the candidate with no experience has sufficient capability to justify the role of sub-broker. 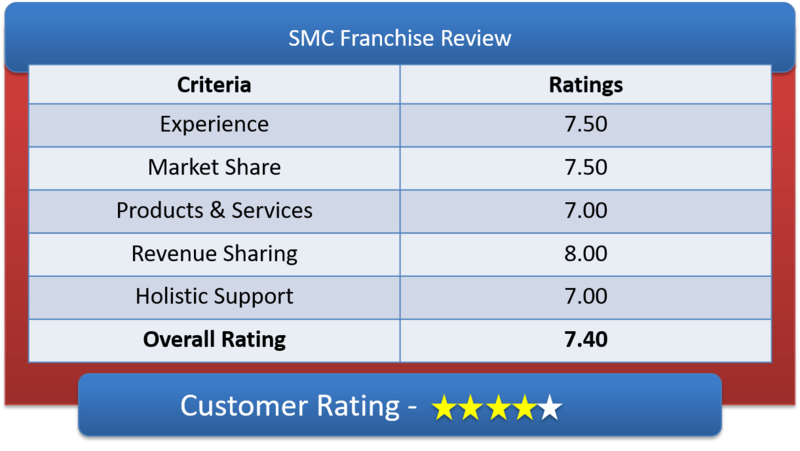 Based on the above parameters, SMC franchise evaluates the candidate and if found suitable, it executes a sub brokership agreement which documents all the relevant terms of business like the revenue ratio, the role and responsibilities of each party, the legal compliance’s to be undertaken by the parties, the infrastructure set up, the margin money, the credit period, the tenure of validity of such agreement etc. It offers a competitive revenue sharing model which ranges from 30% to 60%. The range of revenue sharing ration varies upon factors like the business provided by the SMC sub broker, the margin deposited, the credit turnover etc. It offers a dynamic model and the earning of any sub broker of SMC starts from INR 50,000 per month. Though it has not prescribed any necessary payment of investment money, but depending upon its evaluation of a candidate, it may call for depositing certain investment money to cover the risk of default. As is obvious, this would be only in case where the sub broker candidate does not have a very strong credit background or SMC Partner program may have identified certain risk factor and to cover this risk factor, it demands depositing the margin money. As discussed above, SMC Sub broker initiative appreciates the importance of maintaining sub broker’s own identity and hence supports the sub-broker with advertising material like glow sign boards, banners, visiting cards, brochures, posters etc. which may promote the brand of SMC and the sub broker’s agency as well. It also supports the sub-broker by providing it access to the research reports which SMC Trader’s research team releases periodically. This helps the sub-broker in guiding its clientele with the current market trends and suggest them their next moves. Apart from this, it also provides for a personal interaction of the sub broker with its research team. SMC franchise offers client acquisition training to the sub brokers to help them increase their client base. This is mainly done by imparting relevant training’s like educating on the products and services, training on the trading platforms etc. As monetary assistance, SMC Trade may provide varied offers depending upon case to case like waiving off initial margin money, increased revenue ratio, increased credit period, increased trading limit or providing unlimited trading across all segments, contributing to the infrastructure set up, waiving off the initial investment amount which is prescribed at INR 3 to 5 Lacs.